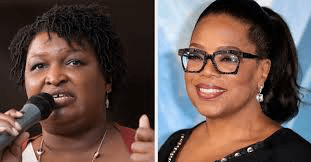 Oprah Winfrey is reportedly heading to Georgia this week to campaign for Democratic gubernatorial candidate Stacey Abrams. Winfrey is set to appear with Abrams, who is locked in a tight governor’s race, on Thursday at two town hall conversations, according to BuzzFeed News. The news outlet notes that Winfrey will also be knocking on doors in Georgia to encourage voters to cast ballots during the final days of early voting in the state. “I am honored to have Oprah join me for uplifting and honest conversations with voters about the clear choice before us in this election and the boundless potential of Georgians,” Abrams said in a statement to BuzzFeed. The news about Winfrey campaigning for Abrams comes about a week before the general election, as Abrams vies to become the first African-American woman elected as a U.S. governor. Barack Obama and Mike Pence will campaigning in the state in the next few days also…..